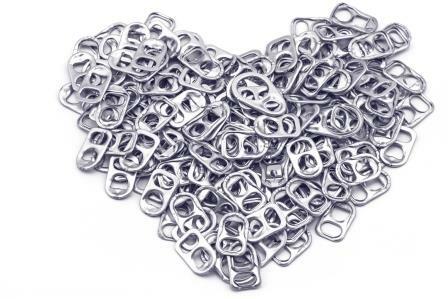 We wanted to take this opportunity to thank you all for your continued and valued efforts collecting ring pulls and other items for us. 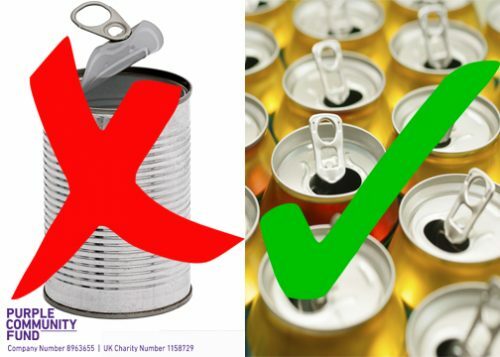 However, we most highlight again that we are NO longer accepting food tin ring pulls – this includes pet food tins. Unfortunately we have had to cease collections as we are unable to design an attractive enough product with these bigger more rigid pulls. Please pass this message on to all your collectors as we do not want anyone to spend postage on sending us items which we cannot use. If you need a quick reminder of the items we are currently collecting please see our Purple upcycling scheme news from earlier this year. Please can we also remind you all to check you have put appropriate postage on your collections as too often we will be charged over £2 to collect envelopes which have not been sent with enough stamps. If you have a large quantity of items that will not fit in a standard envelope we would suggest using My Hermes the courier (myhermes.co.uk) as they are very reasonably priced for parcels. Please contact us before hand so we can give you an address for postage as they will not deliver to our PO Box.